LA Audio Electrinic Co,.Ltd established in the year of 1988, major in development and production of Tube Amplifier. Handwire is the main reason of the famous high quality LA Audio product. LA Audio keep the development on track many years, finally invent the exclusive output transformer. The output transformer is the key factor of ambisonics, which could make the Tube Amplifier perform the original sounds perfectly. 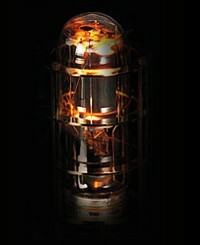 Thus, withing the melodic sounds and dignified outlook, the tube amplifier. We have strong developing team, unstoppable creation. Make the ancient Tube become the art of melody. Now our company LA Audio with our coherent concept of management "Reputation""Service""Promise" sincerely looking for cooperator to create more business opportunity.